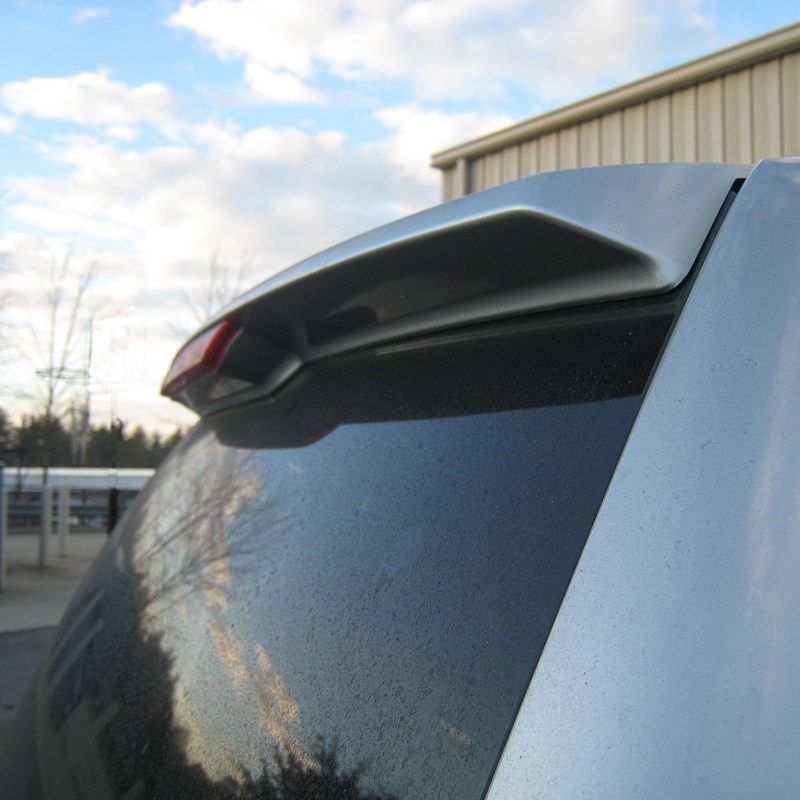 The spoiler, or fairing, on the rear of your SUV is the fin that sticks out at the top of your back window. Sometimes the fairing will hold a third brake light. The side straps of the Rightline Gear Cargo Saddlebag will rest on the fairing when attached with or without a roof rack. Several of our customers have asked whether the weight of the saddlebag will damage the fairing. When installing the Cargo Saddlebag on a vehicle with a fairing, you will want to keep the carrier near its recommended load limit of 100 pounds. You will also want to position the side straps’ pads on the edge of the fairing as seen below. Some vehicle manufacturers bolt on their fairings and some glue them on. I’ve spoken with several people in the auto body industry and found that for most vehicles, gluing on the fairing is almost as strong as bolting on the fairing. If you are concerned with the fairing’s strength, please check with your vehicles’ manufacturer to see if your model has any known issues. If the straps are attaching to a roof rack, the straps could lay on either side of the fairing if having them go over the fairing is a concern. Going around the fairing will not work if you are using car clips. 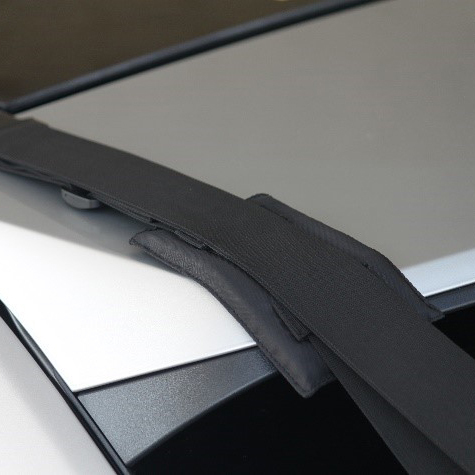 If your vehicle is an older model, sunlight can make the fairing’s plastic brittle over time as seen below. 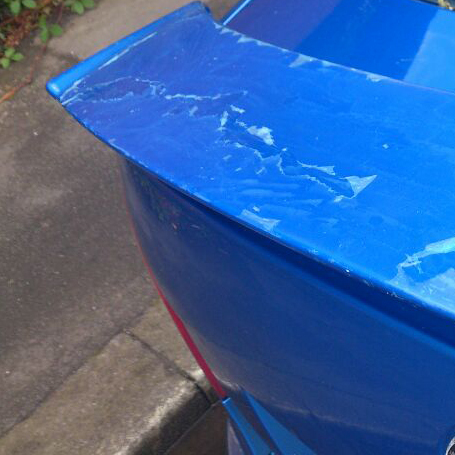 Please inspect the condition of your vehicle’s fairing ahead of time. While we have never had a customer report an issue related to using their Cargo Saddlebag on a vehicle with a fairing, we would still recommend following the precautions described above. Please contact us with any further questions. This entry was posted in Cargo Saddlebag Tips and tagged Cargo Saddlebag, Rightline Gear, tips, fairing. Bookmark the permalink.